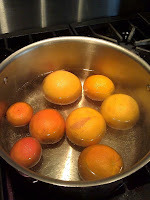 Around this time of year you might find yourself with a glut of citrus fruit, perhaps you have a tree or simply just left over from an impulse buy at the supermarket over the holidays. This year mine was due to a surplus due to my weekly veg box delivery. 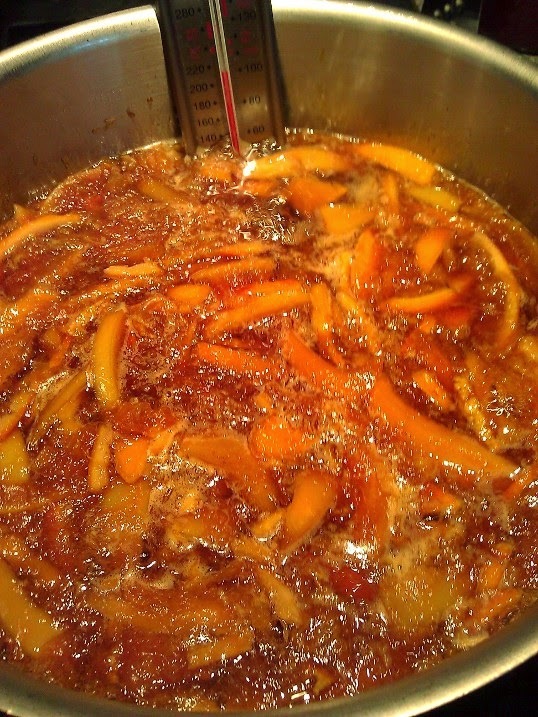 Marmalade is great way to preserve the citrus fruit and unlike jam it is relatively simple to make. 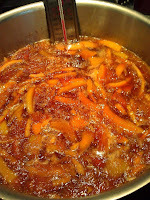 So here is my easy general purpose Marmalading process. 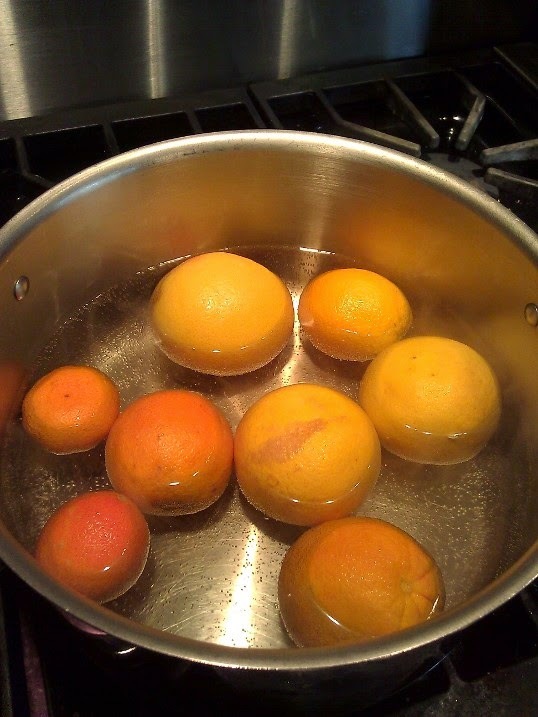 Take the whole fruit and scrub well, removing the stub where the stem connected and place them whole in 2.5 Liters of cold water. Bring to the boil then cover and simmer for 2- 2.5 hours until the skins are soft and be easily punctured with a fork. 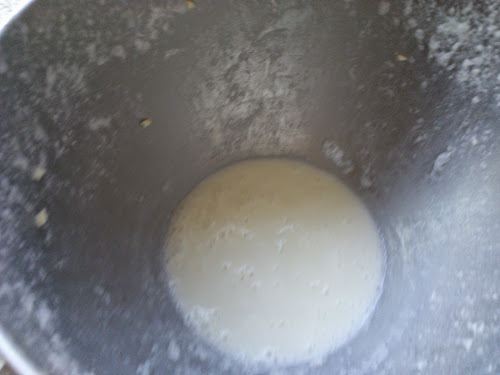 Let cool for 10 mins, then stir slowly to remove any foam on the top. Finally place into warm sterilized jars (see blog post now we're jaming below) and seal. This should keep for about 2 years. If your feeling a bit Scottish you can add about 50ml of whiskey at the end of cooking time. 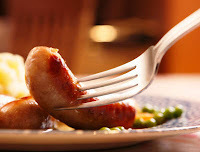 This time of year as the weather gets cooler and the nights are drawing in, my mind turns to comfort food and on my list is the sausage or as they are called in the UK bangers. Unfortunately like most things what we often find in our supermarkets are highly processed tubes of meat from suspect sources full of preservatives and often over seasoned (salted). I find that a shame beacause almost every culture on the planet has its own unique combination of meats,spices and cereals stuffed into a casing and then dried or cooked fresh into a suculent savory delight. Given that I mosly get my meats direct from the farm in whole form, what I tend to have a lot of is good ground meat. So a few years ago I bought an inexpensve sausage stuffer and delved into the art of sausage making and I have to say that I haven't looked back. In fact, for the last three years my wife and I have hosted a sausage making party where friends come over and make sausages and share both recipies and laughs. The event has been a big success and everyone enjoys not only the event but the treats they go home with. Most sausage recipes consist of some good ground meat and seasonings (salt and pepper) and optionally spices, herbs and fillers. The latter can be a controversial item and the use of fillers is dependent on the type of sausage you are making. In general that add both softness and moisture to the end result as the soak up a lot of juices from the other ingredients, most sausages from the UK include some kind of filler. Italian sausages tend to be all meat and if cooked alone will become drying but these are often broken up into sauces to retain all the juice when cooking. Sausages to be dried would not use fillers as they would cause spoilage. When using fillers they should always be good quality either oatmeal, bread crumbs or multi-grain cereal and should be soaked and drained before use. 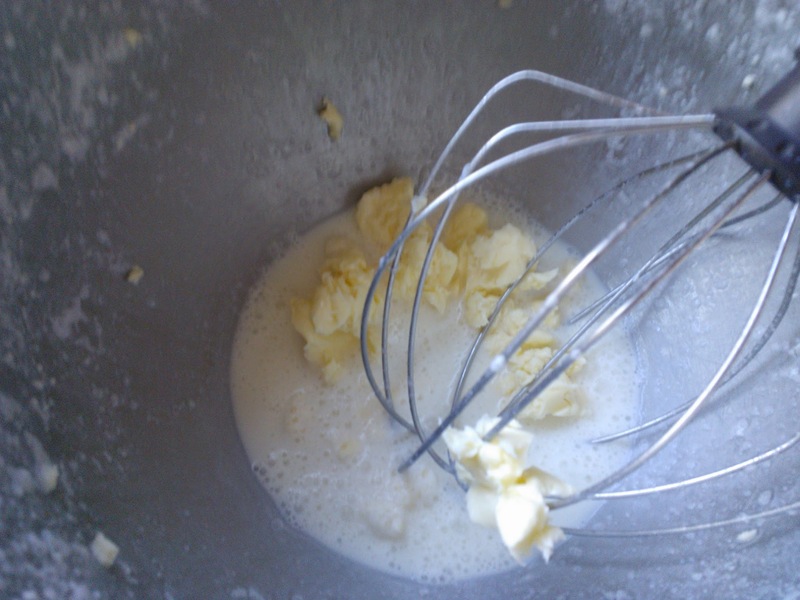 When using fillers about 5% by weight is a good ratio, for 1Kg of meat use 50g of filler. There are loads of recipes online which use various combinations of seasonings however all sausages need salt and probably more that you might imagine. I good rough guide is about 5-10g of salt per kilo of meat. Because cooking has an effect on the power of seasonings it is a good idea to take a little of your mix and ether fry it or poach it in order to test for seasoning as this will allow you to adjust before stuffing. Stuffing is basically inserting your sausage mixture into a casing. 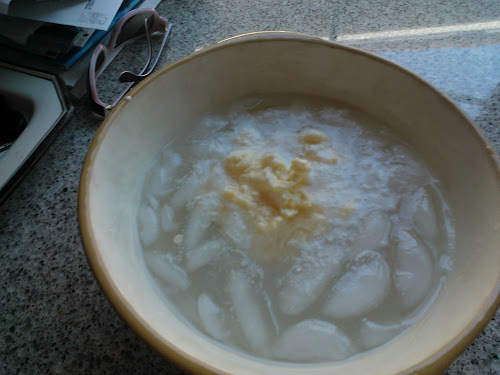 This is necessary for traditional links but you can just shape your mixture into patties but links are easier to store and freeze since the casing protects them. The are a large number of choices for casing both natural and synthetic. Most recipes will provide guidance on the type of casing. Since I normally make pork sausages I go for natural hog casings (or runners) and there are various sizes depending on your own tastes and machine. 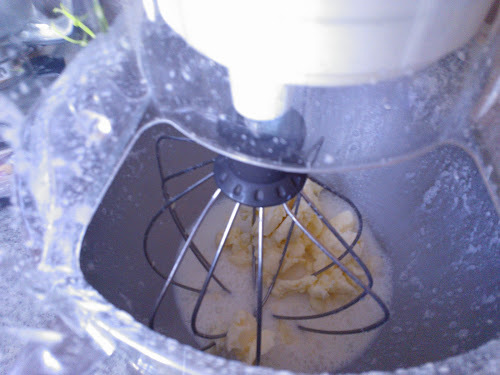 I get my sausage supplies from online sources such as Amazon and Sausage Maker who provide the casings and stuffing machines. The casings need to be soaked before use as they are stored in salt. So here are a few of my favorite recipes, they are all pork based. Ground pork can be found in good markets like Wholefoods and Genes (locally) but if not pork shoulder or a combination of shoulder and pork belly can be used and ground up. You butcher will often do this for you. This has become a favorite at our sausage making parties and many of our friends rate it as one of the best they have tasted. 1 tsp of freshly ground black pepper. Simply chop all the herbs finely and mix with the rest of the ingredients. This is from my home county in the UK and is a family favorite. Use Gloucester Old Spot pork if possible. This is for a fresh chorizo sausage and can be put in casings or simple used as is in recipes calling for chorizo. Just mix together, check seasoning and stuff the casings. 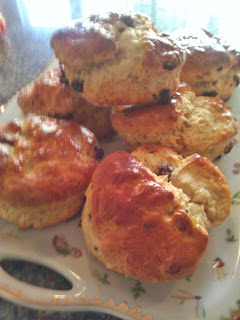 This has to be the simplest scone recipe I have ever found. It works really well and to be honest goes against the general theory. So here is the procedure. 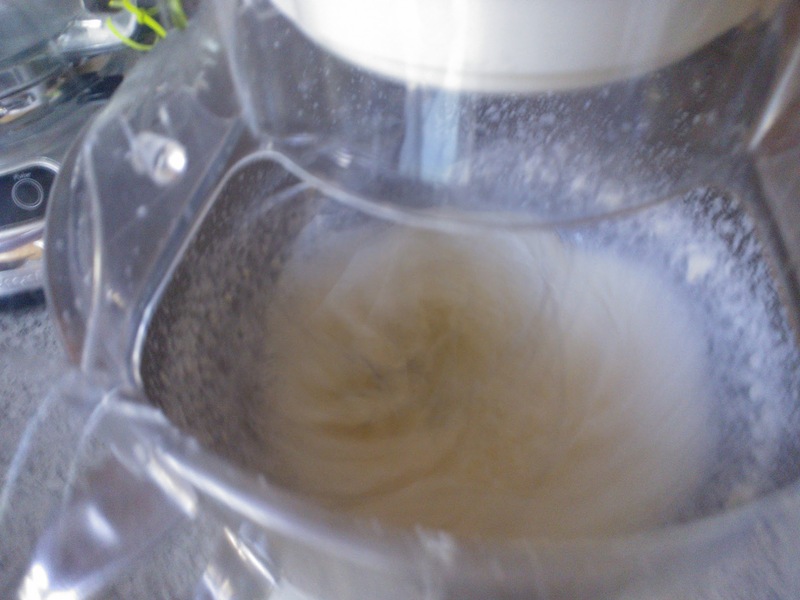 Scoop out onto lightly floured surface and pat/roll in to a rectangle about 2 inch thick. Place in the refrigerator for 30mins while you heat the oven to 425F. After 30 mins egg wash again and then place in oven for 15 mins. As you can see they turned out great. This is now my go to recipe for scones.